Introducing a follower of the "Show Me The Bed Bug Protocol"
Can K9 dog detect live bedbugs and eggs inside a sealed/airtight bag? K9 Certification Expired - should I be worried? So we're now a little over 2 months into our fight, and the bites continue (say, 1-3 per day). We've had 3 Tempo WP treatments (Cyfluthrin) and 1 Catalyst (Propetamphos, organophosphate). The last treatment (Catalyst) was 1.5 weeks ago. The PCO is (reluctantly) coming again in a few days for another treatment. We are now getting a little more desperate. Already we've tossed 1 couch and all rugs. All curtains are down, bagged, and outside. We keep only 2 weeks of clothing in our apartment, all laundered, in bags (save a few drycleaned items that hang in my closet). The rest of our clothes and shoes are outside in bags. All non-launderable items have been PERC-cleaned at our drycleaners (and are still there, waiting for us to pick them up later). We feel we are getting bitten mostly (exclusively?) in bed. We have a metal bed frame (hollow), with a memory foam mattress (encased). No boxspring. Our son has a wooden crib with an (encased) vinyl-covered mattress. Pillows are also encased. But beds are not isolated. 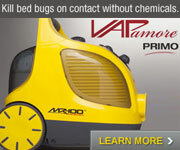 I found a bedbug detecting dog that is available in early March. I need advice on the order in which to proceed. What order would you recommend? - Get bedbug dog in (not available until ~Mar 03) > I am also going to try to get my neighbors inspected at the same time, not sure if they will agree. I don't know how to proceed. My husband thinks we should do in order as listed above. I *really* didn't want to have to toss our bed and mattress - they were wedding gifts and rather expensive. And we like them! Our son's crib was inexpensive so I'm fine with losing that. Have your wall voids been treated?If not I would have them treated by pco.The metal bed frame you love is (from what I've read) unlikely to be the problem,discuss with pco first.Most proffessionals recommend metal beds to reduce harborages.You really need to reflect on tactics with the pco,that's key here.I would concentrate on wall void treatment,and flooring myself.I have seen many pictures of sites infested under rugs(the carpet holding wood seems to be a fav),smoke detectors ,pictures,remote controls,ect. Before tossing things that may not be the source of the problem,consult,stategise,there often is something overlooked.Did pco treat high as well as low? Is there anything hanging or attached to a wall or ceiling that wasn't treated (smoke detector,carbon monoxide detector,fusebox? I know the pco may not be big on analysis,so scrutinize,investigate yourself.Make a checklist of what you see and write it down to inquire if it was treated or not.Neighbors,unfortunately are key,too.Have electric junctures been treated and sealed?These questions, IMO, would serve you better than mass disposal of things.Most people throw out everything BUT the bugs are still there.Good luck,hope it helps. PS- I know it's hard to not react and concentrate on thinking like a bug. I wish I could be of greater assistance here, but I am not so sure that tossing the beds will solve your problem or even lessen it. We have tossed a sectional sofa, matching chair, computer desk, entertainment center, 2 dressers, 2 nightstands, and a myriad of other things and still have the bugs ourselves. In our case we believe they are under the baseboards and carpet because we have yet to find a harborage point visible to the eye anywhere in our apartment. Our beds aren't "isolated" either. They are pulled away from the walls in the middle of the floors, and in 2 zippered vinyl covers with Gorilla tape over the zippers a piece, pillows the same way, but I don't consider that isolated beings we don't have bed frames anymore and they are directly on the floor. I would have the 5th treatment and have the dog come in first before throwing out your beds at this point....the dog may find the bugs aren't harboring on or in your bed at all and then you threw out a bed that could have possibly been saved. I am no expert though, and I am sure you will get many other opinions. Good luck with your battle...sorry you are going through all of this! 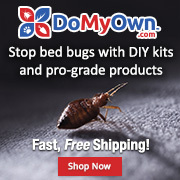 I cant comment on the products used as they are not ones available in the UK but the only correct order re furniture is remove the bed bugs and then change things after that if you want to. I would however also comment that a treatment every 2 weeks is very close considering it takes 14 days for eggs to hatch. I generally work on a treatment cycle that is a few days longer. I'd ask your dog handler about required lag time between chemical treatments and the dog inspection because of the sensitivity of the dogs' noses. But thanks for the reminder in case I had forgotten to ask. If you were one of our customers, I would suggest the following- Don't get rid of the mattress... all you are doing is adding expenses to an already expensive situation. And if you don't eliminate all the sources of infestation, you will just wind up with a new mattress with bedbugs in it. 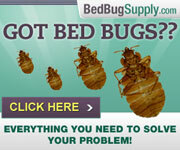 We've successfully treated many infestations without ever resorting to tossing the mattress. (actually, the only furniture I've ever had someone get rid of was a wicker nightstand that was utterly infested, that the customer didn't want to spend the money on to have heat treated). 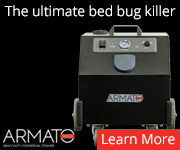 That said we also make sure all the mattress kept are encased in a high quality bedbug escape and bite-proof encasement. A critical and often overlooked area with those encasements is the zipper stop... if you don't have the one brand on the market with the large area of backing on it that keeps them from escaping at the zipper stop, make sure to use tape on that area. Also important is to check that area every few days and make sure the tape hasn't loosened. (My more thorough clients like to seal the entire zipper with tape just to make sure.) I'd also echo the sentiment of void treatment... at the very least we remove and treat (dust) every single light switch and electrical outlet in the structure. I've had several cases where we found bugs behind cover plates on outlets with no outwardly visible sign of bugs. Some other often missed areas are around A/C & heat outlets and returns... PCO's are loath to treat those as we can't let the pesticides get airborne and tend to ignore them... but a steam works wonders. Speaking of steam, is your PCO using any physical control methodology, or are they relying solely on chemicals? 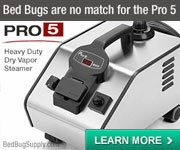 There have been studies showing the use of steam and pesticides is far more effective than either method alone. As to the canine inspection, the only concern I would have is making sure that the team you get is trained on live bugs/eggs only, or you run the risk of having the dog alert all over the place wherever your current control methods have worked. The end result there for you would be lots of stress and feeling like the bugs are everywhere, and no new information to help you focus your treatment. sDon't be surprised if you neighbors refuse inspection... it's an odd thing but I've had several neighbors/friends/family members of people with severe infestations refuse inspections (even free to them inspections)... My best guess is that they don't WANT to know, because then they'd have to do something about it. My suggested summary: don't toss anything, get more varied and intense treatment, get the dogs in to help focus future treatments. And remember, you will get through this. No, wall voids have not been treated, and I doubt they will be. All the PCOs I've interviewed (including our current one) seem pretty lazy and relaxed about BBs. We're in Montreal, Quebec, I think it's a local mentality (no offense!!) Almost all rely exclusively on chemicals. Nobody wants to commit to any real hard work, like dusting or steaming. I guess I'll have to do it myself eventually....paying for all this PCO service that doesn't resolve the problem is really getting to be a waste of money (okay, feeling bitter just now). The dog we're looking at only detects hatched bugs (alive or dead, and not eggs). Again, due to our locale we don't have a lot of options. I was ecstatic to find even that one canine service provider. So based on everyone's good advice, my husband and I have now agreed to not throw away the mattresses or beds. BTW, we are in a beautiful old building. High ceilings and lovely dark wood... but tons of cracks and gaps in floors, walls, etc. There is no way we could ever fill them all. I don't know if I even want to try. I was kind of hoping if we stay here and act as bait, and get the right poisons down, we'd attract them out and they'd die. So far, this plan is not working. A little depressed right now, will try to buck up later. Again, if anyone has further thoughts, I'm open and grateful. I know there are times when it seems a never ending,unwinnable war but it's not.Unfortunately these bugs are a challenge,it's not going to be easy.It's winnable though.Please don't despair,get mad instead!There's a great article on the blog about Collette,who got so fed up,she just refused to take it anymore.That's the attitude we all should have.I refuse to be a victim and accept defeat,you too will rally.It just depends where your breaking point is.I'm reminded of the saying we've heard that the chemical itself doesn't matter so much(unless their resistant,of course) it's the placement that matters.If you have to be the one to dissassemle furniture for the pco to spray,well why not? If you have to be the one to shut down power and take off the swtchplates and electric covers so they can be treated,do it(just make sure he uses a dust and no spray).After all,you're the one who has to live with these f*** monsters,right? Take it 1 day at a time and do a little every day,an hour of caulking 1 day,an hour of investigating the next,maybe get a dry steamer (around $400) and add that to the regime as well.Just be sure to coordinate with pco when you should do anywhere he's treated(you don't want to undo his work).This is war,and you will win.I know how you feel,been there done that.Remember that the chemicals are not the whole battle,just a part of it.Wishing you all the best,good luck. >BTW, we are in a beautiful old building. High ceilings and lovely dark wood... but tons of cracks and gaps in floors, walls, etc. MF, that's exactly how I felt about my old apt. I loved it, high ceilings, lot of light, original 100+ yr old fir floors, etc., etc., but gaps galore and my wall-to-wall stuff did not help. I live in the same type of building! Old old wood floors, don't even want to make a guess about what's behind the walls... caulking everything would be next to impossible. I had your same idea though, of hoping to attract them out... seems like it's not working for us either. My feeling with beds that are not isolated is that it's easy to fall into the trap of thinking they are coming into the bed from elsewhere. But at least some of them have a good chance of being in the bed itself, in the bed frame. So that if the bed is not isolated, the bed frame has to be considered practically every week. Some PCOs can't really spray bed frames or if they do opt to, they don't do it thoroughly. So if it were me, I would consider, is it caulked, every nook and screw? Can it be washed/scrubbed/caulked/sealed and then possibly regularly steamed? 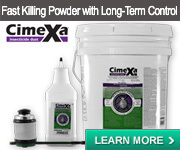 Or regularly treated with a contact killer? Emphasis on regularly. On my last treatment I told my PCO they had to be in the (steel) bed frame and he did a more thorough job of it. It was the last treatment. I think they were elsewhere too but the bed frame is still so tricky, no matter what material it's made of. Just an update for those following this thread. 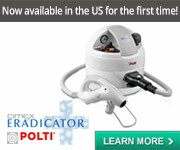 We had our 5th treatment (Catalyst, 2nd time for that product) about 2 weeks ago. Still bites daily. However, the canine team arrived on time today and the handler was very pleasant. He had 2 dogs. He brought them in one at a time. They both indicated the same areas - our bed, baby's bed, couch and 1 dresser. So I know for sure we *do* have BBs (plus the bites of course, we've had those all along). Once he told me the dogs had for sure indicated, I had an emotional breakdown and cried in front of him. He handled it really well! He was empathetic but still professional. He just kept working and then went and wrote up the bill. He has been the kindest and most helpful provider in this whole mess thus far. BTW, he also brought a vial with live and dead bugs in it. He hid it in the living room, his dogs did detect it. I could finally see (fresh) BB poop for myself! Very black and appears sticky. I have not found any in our apartment, just saw it in his little vial. The top of the vial is covered with pantyhose so the live bugs can breathe, but can't get out. A small nymph could tho! Creepy!! The landlord's PCO will come back in a few days to spray Demand. I guess I'll allow this since I don't have a better idea at the moment. That will make it about 15 days since the last treatment (Catalyst). At this point, my husband wants to throw away all the furniture the dogs found BBs in. I am not so sure! We're 2-3k into this already and that would add another 2k gone. Plus we'll have to spend more to replace it. And there is no guarantee it will work anyways. So not sure on that yet. My neighbors still report no activity. I don't not know how much longer they can be safe for (if in fact they are currently). The canine handler said he thought the problem was fairly well contained. The dogs did not indicate any baseboards, so I am hopeful they have not gotten into the walls. Only time will tell. If anyone has thoughts or ideas, I'm open. PS - Nobugs, I did get in touch with La Cibole De Cimex blogger. She was very kind, told me which company she had used. I believe she required only two treatments. I have not contacted them yet. i thought there was only one handler in canada, in toronto, called purity pest control. if this is who you used, i would love love love to hear any other info you might have to share on the company and the treatment itself. i'm sorry to hear they indicated in your apartment. on the upside, at least now you know what locations to focus on! was your infestation a heavy one to begin with? No, my infestation was not heavy. We know where it came from and so were actively watching for signs when we found it. Now 12 weeks in, neither us or the PCOs have found anything physical (besides the 2 bugs I initially found on the couch that started this whole circus). awww MF i have my fingers crossed for you. thanks for the info on the bb dog. This is just my 2 cents but I think the best treatment is to just take a weekend and methodically dismantle everything. Take furniture apart piece by piece and wash it with Murphy's. Whatever can't be taken apart give an extra good wash and then powder DE into the cracks afterwards. Start at one point on a wall and keep expanding a perimeter from there until you find a crack. Put some DE in the crack then seal it. Don't forget to seal any little nail holes in the wall too. Go Do the same for the floors. If the cracks are too big to seal, you could duct tape them shut. If that looks too ugly, try putting a good coating of odourless Vaseline along the inside edges of it. That way bugs have a tough time crawling across the crack. Take all of the random items you have sitting around and put them onto a big plastic sheet on the floor. Organize them into different groups, by material, and things that you use regularly and things that you won't be using for several months. If stuff is soft it can probably go into the drier then a sealed bag. If it's hard it can maybe be washed or just sealed into a bag with DE. Unscrew all of the wall sockets (cut power first) and switches and dust them then seal them shut. It is a lot of work, but it feels like you've accomplished something good by the end. Afterwards, try to cut the house up into sanitized areas that can't be crossed by bugs. If you have a good sized crack in the floor near a doorway, consider filling it with a Vaseline moat and then putting a layer around the outside of the door frame. That way a bug cannot crawl through that doorway unless it's carried. If you have a metal table, put some double sided tape on the legs and put the sanitized items that you use day-to-day on. That way you know what is definitely bug free and what is low risk and high risk. Stuff touching the floor and carpets in a bedroom is generally high risk. 5. 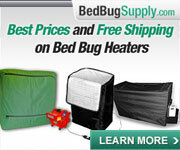 Encase both the mattress & box spring in proper encasements made for bed bugs. 6. Followed by a crack & crevice pesticide treatment, with proper chemical customized for the type of infestation that you might have. 7. The exact treatment should be followed up within 14 days. 8. The use of 2 technicians per job is a standard due to the fact that 4 eyes and 4 hands are needed for proper treatment. This procedure again works extremely well for our clients both commercial and residential. MixedFeelings: What is the name of the canine handler that you used! Please everyone, leave names of companies, so that those of us searching later can benefit from your experience after you've stopped returning to the forums!